Mark G. Tratos is the founding Shareholder of the firm's Las Vegas office, home of the largest group of entertainment attorneys in Nevada. Previously, he was the Co-Founder of the firm of Quirk & Tratos. 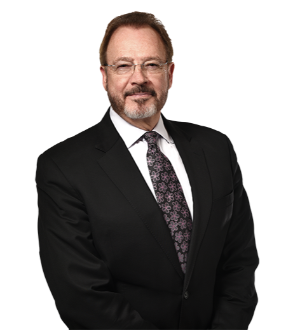 Mark focuses his practice on a variety of entertainment, intellectual property and litigation matters. He represents numerous artists and performers, resort, hotel and casino entities in federal court litigation involving trademark, copyrights, domain names, rights of publicity and privacy law for known casino brands. He represents many of the largest resorts in the world on brand development and protection strategies, enforcement and infringement litigation. Mark has represented numerous artists and performers, including the estates of Orson Welles, Anthony Quinn; performers Teller, Val Valentino and The Masked Magician; visual artists Ronnie Cutrone, Deny Dent, Vladamir Kush, Tim Bavington and Peter Lik; and athletes like world champion Floyd Mayweather Jr. In keeping with the firm's commitment to community involvement, Mark has been a member of the adjunct faculty of the University of Nevada, Las Vegas for more than 25 years. He currently teaches entertainment law, rights of publicity and privacy law, and the law of cyberspace at UNLV's William S. Boyd School of Law; the business of entertainment at UNLV's hotel college; and entertainment and fine arts law at the College of Fine and Performing Arts. He is Chair for the Board of Trustees of the National Judicial College and is the Chairman of the Board of Visitors for Lewis & Clark Law School, and Vice Chair of the Board of Trustees of Lewis & Clark College. He serves as Director for the Board of the Smith Center for Performing Arts and Chairman of the Center’s Board of Advisors.